Master every aspect of CRM development and understand every component in Zoho CRM's interface. Create a free developer account to get a fully-featured application environment to support you as you explore Zoho CRM. Become familiar with Zoho CRM's components, architecture, and features by working with data sets in your Developer account. Add, delete, and update data in Zoho CRM's prebuilt modules and in any customized functionality that you add to your account. 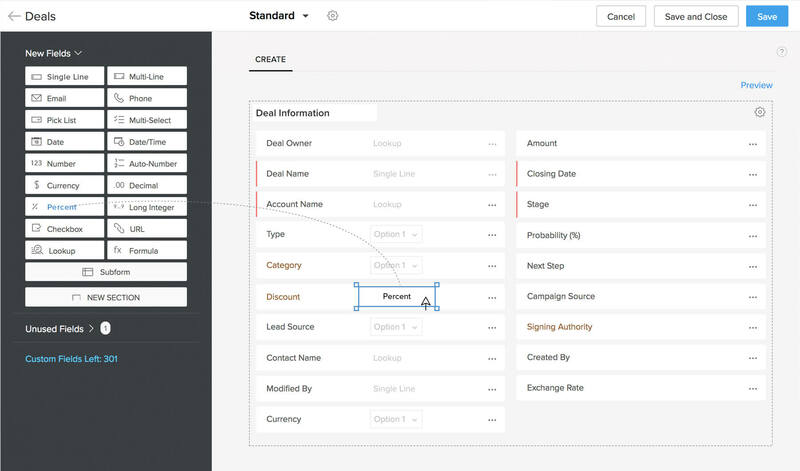 Your Zoho CRM Developer account comes with its own inbuilt Deluge Editor. 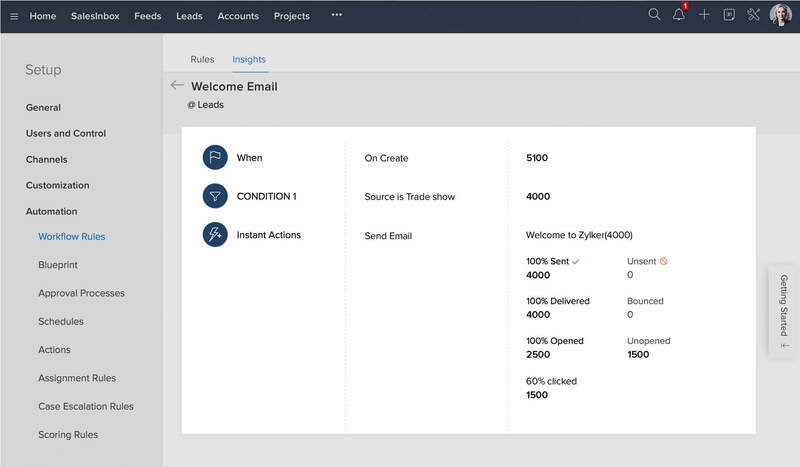 Deluge is Zoho's own scripting language, designed to let developers add functions and logic to Zoho CRM using simple drag-and-drop tools. 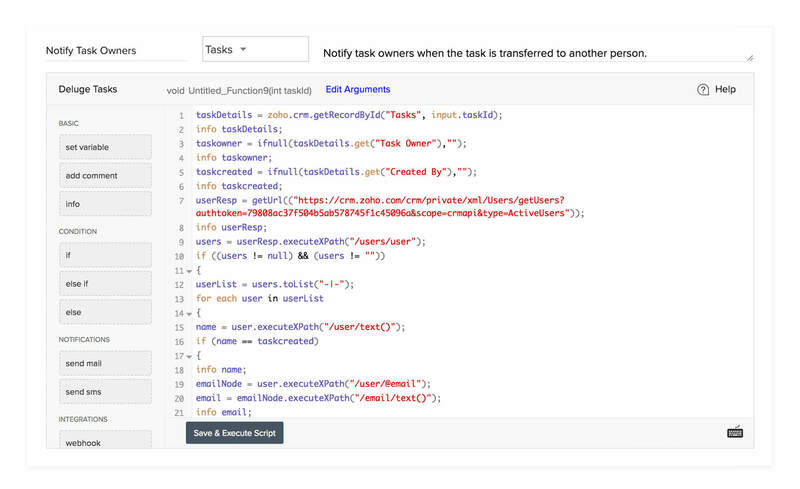 Use Deluge scripting to write custom scripts that let you create integration tasks, event automations, and serverless code in a matter of minutes. Use your Developer account to know how you can carry out workflow and process automation in Zoho CRM. Use Workflow Rules and Blueprint to learn how to incorporate complex business processes in Zoho CRM without writing lengthy programs. Prep yourself using the developer edition and become an expert Zoho developer.